Mm… The best thing about this sandwich is it tastes great served hot or cold. 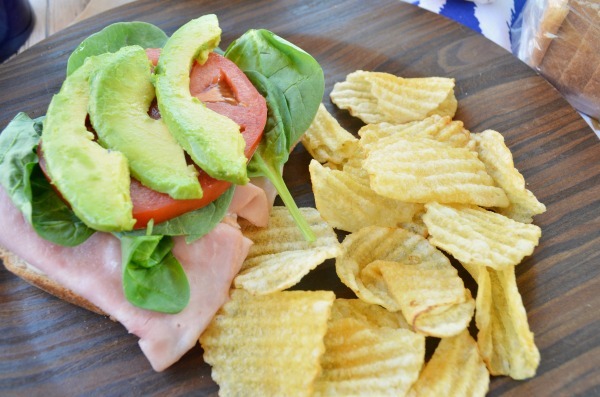 For summer I’m serving this meal up fresh and easy with just 6 ingredients; a perfect sandwich for a warm day. So simple to pull together, this California Open Faced Sandwich is a great meal solution when you don’t feel like heating up the kitchen. Or pack all the ingredients in a picnic basket for a refreshing bite in the park. My inspiration came from the classic BLT. I was looking for something the whole family would enjoy chomping into by dialing it up a notch. 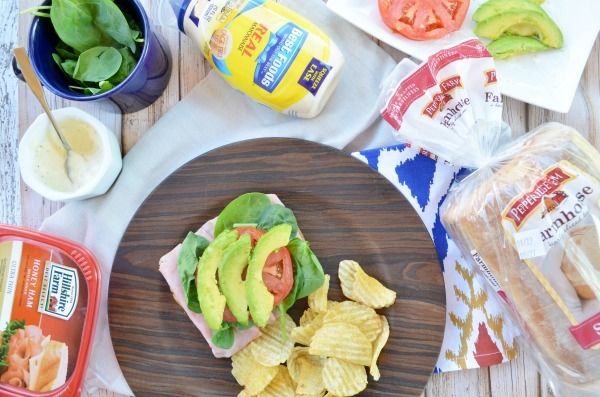 Hillshire Farm® Thin Sliced Honey Ham lunch meat and Pepperidge Farm Farmhouse™ Sourdough bread gives this sandwich a deli fresh taste. Grab one slice of Farmhouse Sourdough Bread. You can toast it if you’d like, but the farmhouse bread is hearty and perfect for building an open face sandwich. The slow baked, fresh from the oven taste is a great base to this summer inspired sandwich. Next, get ready to spread Best Food’s® Real Mayonnaise on your bread. 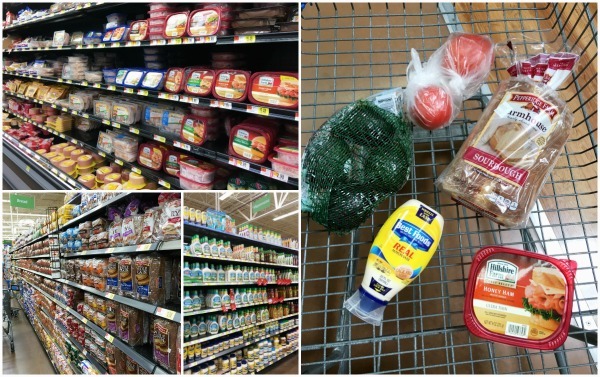 The convenient squeeze bottle makes adding this spread to your favorite sandwiches so easy. If you want to get fancy you could mix up a simple garlic aioli with cracked black pepper and fresh pressed garlic as well. Though Best Food’s® Real Mayonnaise tastes great on its own. 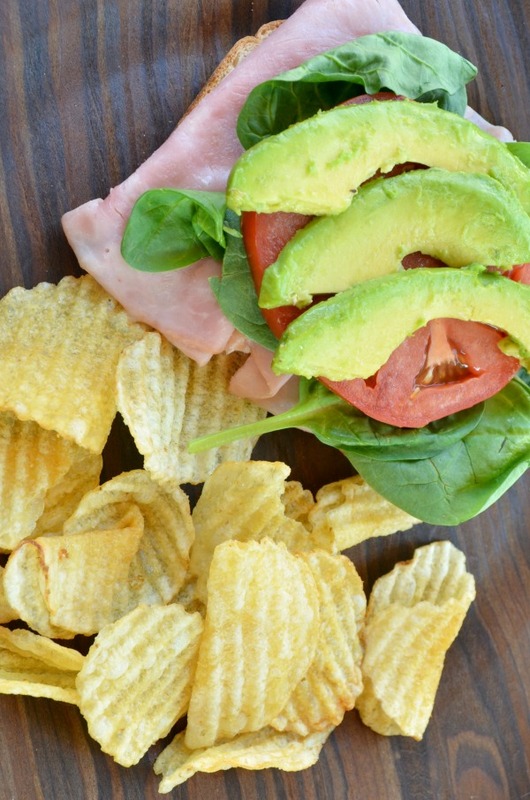 Grab a few slices of Hillshire Farm® Thin Sliced Honey Ham. Slow roasted for hours it tastes better than all the others. Fold or accordion each slice of ham so there is just a little overlap. Add a handful of fresh spinach. Top with a thick slice of tomato. Then, finish your open faced sandwich with a few slices of avocado. *To get perfect slices every time, halve your avocado and slice right in the skin. Then, remove gently with a spoon. After heading to Walmart to grab all your sandwich building ingredients, grab a blanket, and head to the great outdoors. Steal just a few more moments of sunshine before Fall is upon us. I think next time we make this sandwich we’re switching it up by adding another slice of Farmhouse Sourdough bread, slathering the outside with a generous helping of my homemade garlic aioli and sending it off to the panini press for a few minutes, yum! 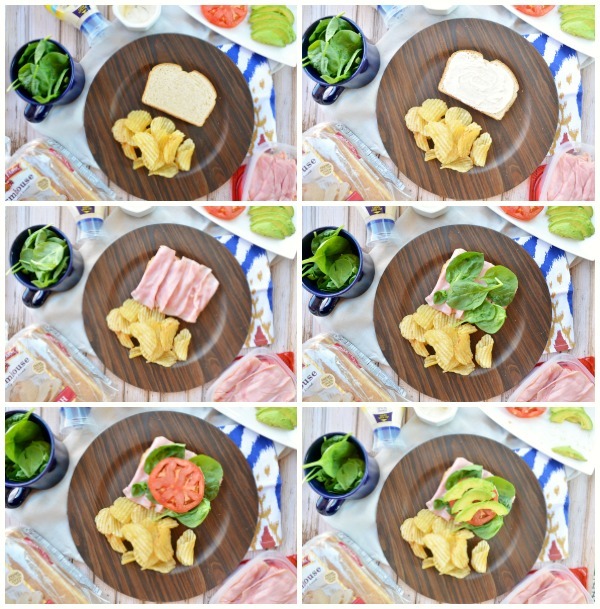 Looking for more easy-to-assemble sandwich ideas? 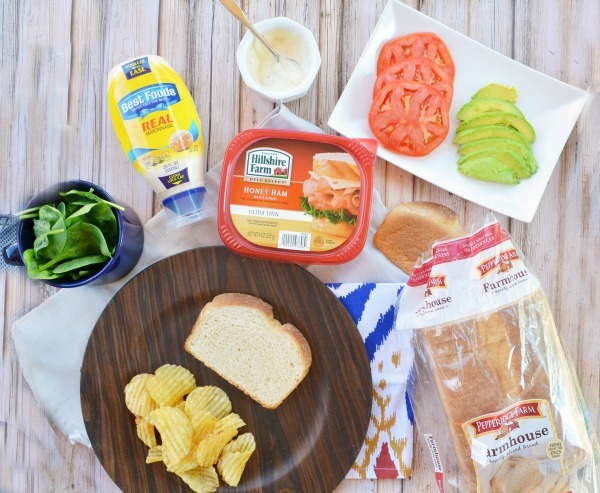 Check out these delicious ideas for a quick summer meal here.